Captain Canady retired from the United States Navy on September 30, 2013 after almost 30 years of commissioned service. A native of Shelbyville, Tennessee, he graduated from Shelbyville Central High in 1980, the United States Naval Academy in 1984 and the National War College in 2003. Canady has completed deployments at sea aboard USS CORAL SEA (CV 43), USS NASHVILLE (LPD 13), USS THEODORE ROOSEVELT (CVN 71), and USS ESSEX (LHD 2). His initial sea tour was as an SH-3H Sea King pilot with the “Neptune’s Raiders” of HS-17. He completed a disassociated sea tour as the Air Officer in USS NASHVILLE. In 1994 he transitioned to the SH-60F/HH-60H Sea Hawk and completed his department head tour with the “Dusty Dogs” of HS-7. 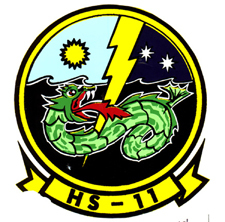 He served as Executive Officer of the “Dragonslayers” of HS-11 and was the Commanding Officer from June 2001 to August 2002. In August 2006, he reported to USS ESSEX forward deployed to Sasebo, Japan as the Executive Officer and was the Commanding Officer of the “Iron Gator” from February 2008 to August 2009. 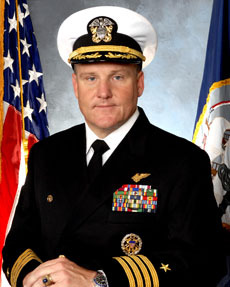 Canady’s shore assignments include two tours as an instructor pilot with the “Seahorses” of HS-1, Flag Lieutenant/Aide to the Chief of Naval Technical Training, Helicopter Shore Assignments Officer on the staff of the Chief of Naval Personnel, and Executive Assistant to the Deputy Director for Global Operations (J-39), the Joint Chiefs of Staff. He has also served on the staff of the Chief of Naval Operations as the Executive Assistant to the Director for Air Warfare and the Director for Warfare Integration. His final assignment was the Senior Military Assistant to the Director, Cost Assessment and Program Evaluation on the staff of the Secretary of Defense in the Pentagon. Canady has accumulated over 3600 flight hours in the Sea King and Sea Hawk helicopters. He is entitled to wear the Defense Superior Service Medal, Legion of Merit (two awards), Bronze Star Medal, Defense Meritorious Service Medal, Meritorious Service Medal (two awards), Air Medal (with numeral 2), Navy/Marine Corps Commendation Medal (seven awards), Navy/Marine Corps Achievement Medal and various campaign and unit awards. Captain Canady transitioned to his second career in August 2013 as a community banker and is currently the President of First Community Bank of Tennessee located in Shelbyville, Tennessee. He is married to the former Kate McGrew also a native of Shelbyville and they currently reside in Bell Buckle, TN.